This came after Miss Canada, Miss England, and Miss Guam spoke up about the sexual harassment they experienced during the competition. This year's Miss Earth competition was held in the Philippines and the coronation night, where Vietnam's Phuong Khanh Nguyen was crowned as winner, took place on Sunday, November 4, 2018. A few days after the big night, Miss Earth Canada Jaime Yvonne Vandenberg, Miss Earth England Abbey-Anne Gyles-Brown, and Miss Earth Guam Emma Mae Sheedy spoke up about the sexual harassment they experienced during the pageant. According to them, a certain sponsor invited the contestants multiple times to private houses in Boracay, asked for their room numbers, offered them mileage in exchange for sexual favors, and would constantly make them feel uncomfortable during official events. It came to a point where Miss Canada actually withdrew from the competition. "He showed up to almost all of my events telling me he could take care of my needs and asked for sexual favors in exchange to get me further in the pageant. I was disgusted," Jaime wrote on Instagram. Miss Guam (Emma Mae) identified the sponsor as Amado Cruz, saying he even grabbed her bare backside at the National Costume Competition. She was able to push him away, but he consistently warned her not to tell anyone about the incident. According to Miss England (Abbey-Anne), "I enjoyed 50% of my trip but the other 50% was overshadowed by feeling exploited, vulnerable, unnerved, and sexually harassed as I was approached by a sponsor on many occasions who asked for sexual favors in exchange for the Crown." Abbey-Anne approached Lorraine Schuck, the Vice President Of Miss Earth, and was promised that the sponsor would be removed from all contact with the contestants. However, this did not happen because he was even present during the coronation night. 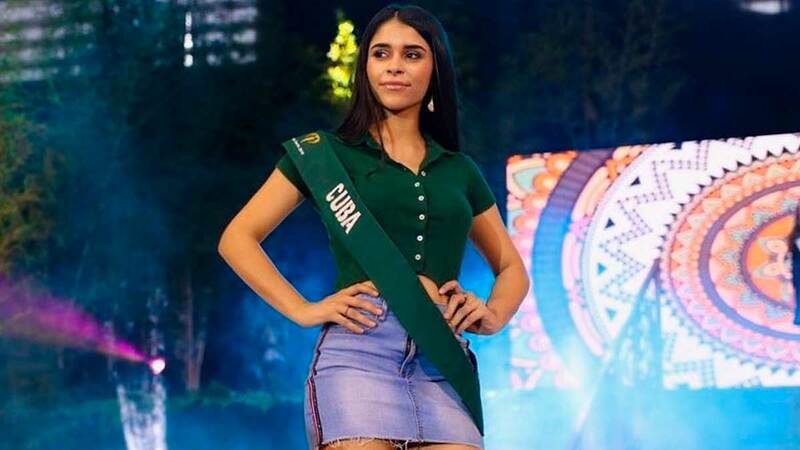 Meanwhile, Miss Earth Cuba Monica Aguilar countered the claims of her fellow contestants on Thursday through an Instagram post. She said that she wanted to stop the allegations being made against the Miss Earth Organization. According to Monica, although some of the sponsors asked if the contestants wanted to extend their visas to go to Boracay after the pageant, they were not asked for any sexual favors to get them further in the competition. Monica also claimed that after she said no to the Boracay trip, the said sponsor didn't bother her again. "This is not something the team managers should be blamed for," Monica added. "I felt extremely safe this entire month under the care of our team managers." However, in a follow-up post, Miss Cuba then said that she experienced the same things as her fellow contestants such as getting asked by sponsors for her room number repeatedly. "I agree that this needs to be reported and addressed properly. There is also a huge difference between sexual harassment and inappropriate behavior. Let's use the right terminology." She added, "Guys, let’s stand WITH MISS EARTH and AGAINST SEXUAL PREDATORS. We can do both at the same time believe it or not! Saying that what happened to us girls is Miss Earth’s fault because they were the ones that provided the sponsors is the same thing as saying 'it is your fault your son committed murder because you gave birth to him.' Miss Earth was not at fault, the sponsors were! And this should be addressed properly. Inappropriate behavior is never ok!" She also posted the text message she received from the sponsor.